I did it... I finished all my projects through August for Silhouette Challenges. I now have to work on 2 Creative Chicks and Crafty Playtime. 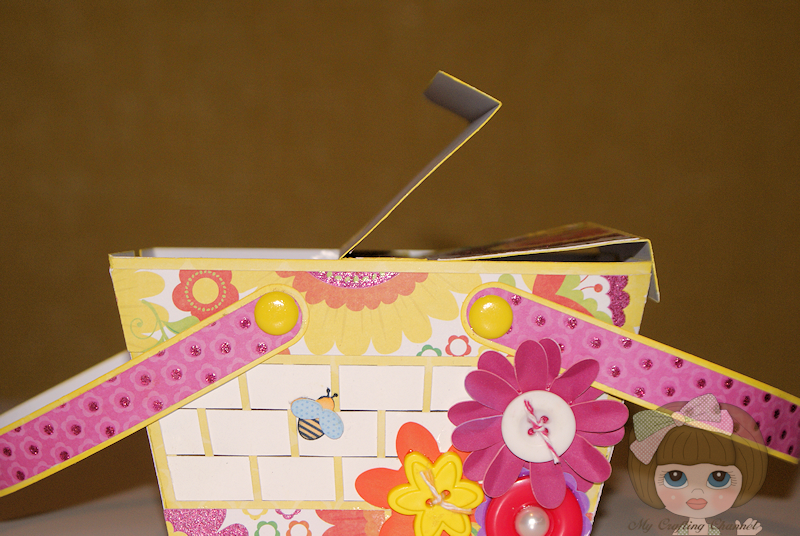 I did managed to knock off 2 projects for a blog hop and this adorable Picnic Basket last night as well. I had purchased this SVG Kit from SVGCUTS when it came out and never used it. I now have made 2 projects from the kit and love them both. So sorry about the lighting in the pics. Very cold and cloudy again here today. If hubby does not finish my photography area soon, you ladies will need to be sending me sympathy cards. lol I really wish you could see the vibrate colors, they seems so washed out here. 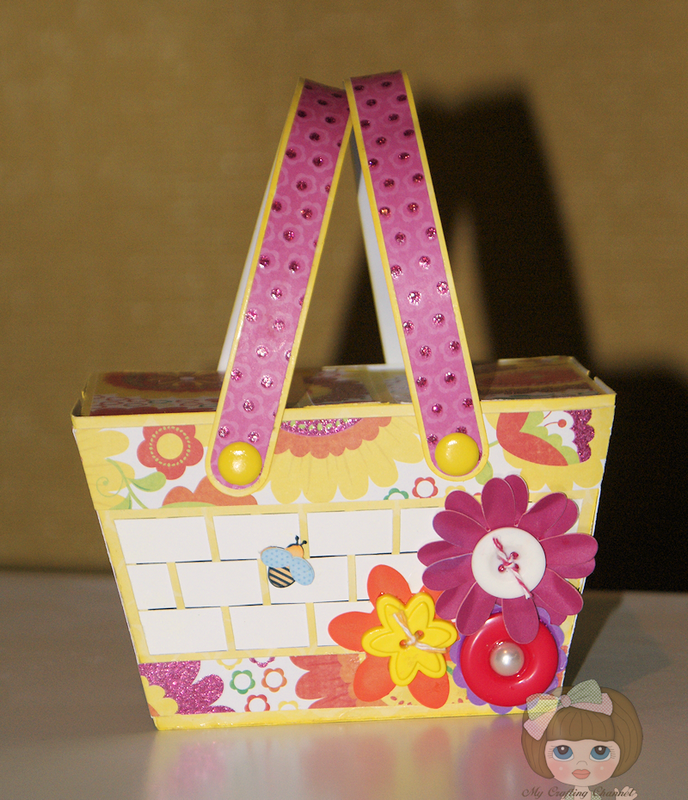 Mary did a fabulous job on the design of this basket. I love how each side opens. It went together very easy and quickly. I has to add the little bee. I think I have every picnic that I have ever been on a bee or two showed up. Well, I'm going to make a cup of hot coco and take a break. Just finished all the post for the completed projects and have them scheduled, did blog lovin and been to Facebook. Oh wow, this is the most fabulous picnic basket!! I love the design!! The papers you used are so beautiful!! I've never been on a picnic where a bee or two didn't show up either :) So jealous you are all so close to being done with all your upcoming projects!! Enjoy your hot cocoa and me time!! Whew....you are a busy lady - I am super impressed! Love your sweet little picnic basket. Great papers and sweet flowers (and bee)! Go take a break and enjoy your cocoa, sounds like you have earned it! Where's the picnic at, LOL! A tisket a tasket I love your picnic basket! 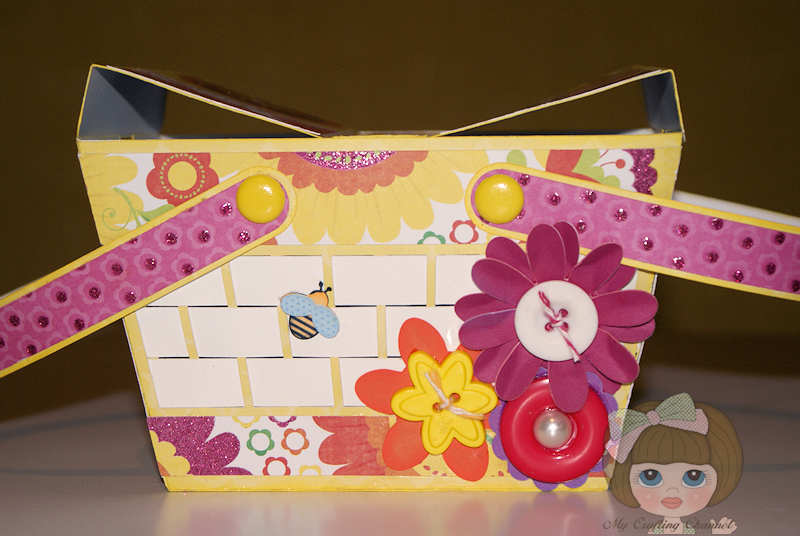 How beautiful, and the little bumble bee is the perfect touch! What a gorgeous basket!! 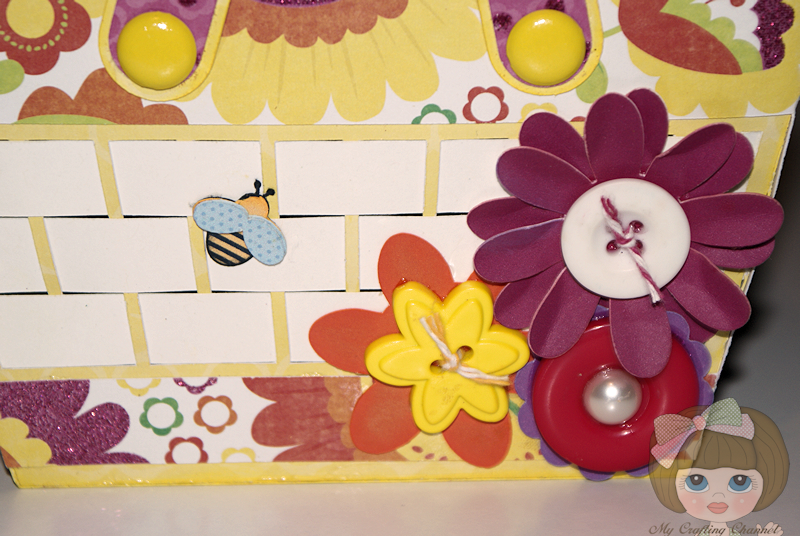 I love the pretty papers and the little bee is adorable!!!! Have a great day. This basket is just PRECIOUS!!! The flowers are beautiful and the details of the adorable buttons. Wow, sounds like you have been a busy and productive lady lately! It must feel wonderful to have so much pre-done and scheduled! I have been having some difficulties with my feedburner acct and not sending me my notifications to any of my subscribers. Ugh! I hate program issues...anyway, it is day 3 of messing around and getting no where. I am hoping to get some crafting in today...need a break from the computer! Have a great day-love your darling basket! Your details are so darn cute Nana...Although, I always love your projects! Fabulous basket and love how it opens, just like a real one! TFS and have a great rest of the week. OMG!!! That is so cute!! That is a darling little picnic basket. Thanks for linking over here from today's bag post.